The Chapel patio (really a central courtyard) and the kitchen serve as the locus of most of our social life. 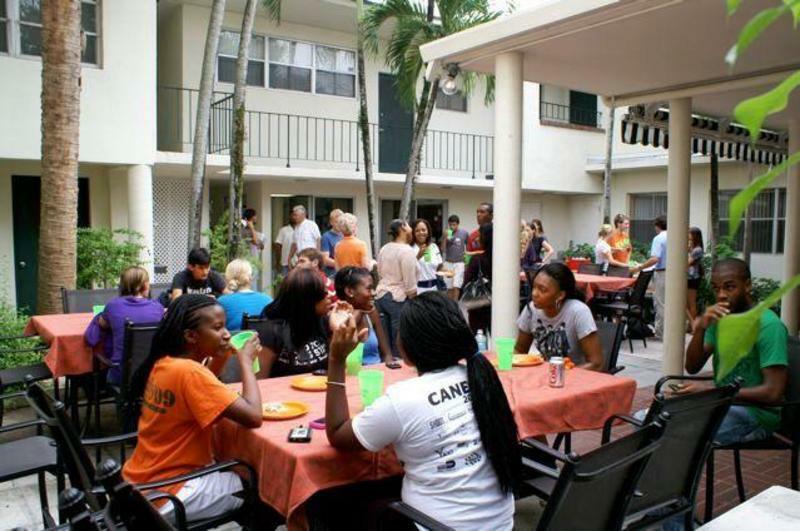 We hold our weekly student suppers on the patio, weather permitting (which is almost always! ), and this is where we also have our other smaller gatherings and celebrations. During the week teachers from the UM/Canterbury Preschool use the kitchen and patio as a teachers' lounge and lunch room, and Canterbury parents sometimes have lunch with their child(ren) on the patio. In the evenings, people hosting an event in the Chapel are welcome to use the kitchen and patio for their reception. 12:00 noon - 3:00 P.M. Dress Rehearsal - Jessica H.